We try to keep our GP appointments for patients with more serious health problems, or for conditions only GPs can deal with. Before you book an appointment to see a Doctor, please consider whether an appointment with a Practice Nurse as they too can help with a wide range of medical problems. If you have a cough, cold, headache or other minor ailment try treating yourself at home first. Please remember that self-care for common conditions can help free up our GPs time, making it easier to get an appointment for when you need it most. Your local Pharmacist can help too, they are highly trained professionals and can give you confidential health advice for a range of common illnesses. Your Pharmacists can also help you decided if you need to see a Doctor or Nurse. 111 is the free NHS non-emergency number. You should use this service if you urgently need medical help or advice, but it is not a life-threatening situation. A&E is for life-threatening accidents and emergencies only. Before you attend, ask yourself 'is this a real emergency?'. If not, please consider using other local health services before you visit A&E. At Wootton Medical Centre, we operate Navigation. 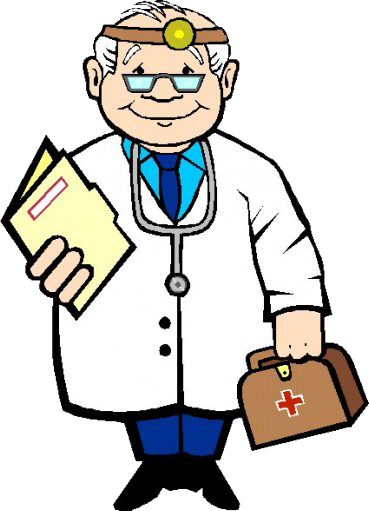 Patients will notice the Receptionist asking you for a brief outline of your problem when you call to make an appointment. This new service will help specially trained Care Navigation Receptionists direct patients to the most appropriate service faster. Appointments will be made with the most appropriate clinician best suited for your needs, which may not be a GP, or, in some cases, Receptionists may direct you to an alternative healthcare service. For example, medication queries and some minor illnesses, such as a sore throat, could be managed by a Community Pharmacy and you may not be aware of this if you have not visited the surgery in a while. However, the choice is always yours and you will never be refused a GP appointment, but we hope the next time you contact us and speak with the Receptionist you will see the value of seeing another health clinician if they are able to help. Why is Care Navigation being introduced? What to see your GP for? If you are feeling unwell or have concerns about your health, book an appointment to see your GP. On registering with the practice, you will be allocated a named GP. We would encourage you to see the same GP if possible, however, you can see any suitable clinician at the surgery. We operate an appointment system only. One appointment equals one problem, you may be asked to book a further appointment if you have more than one problem. Appointments can be booked up to 3 months in advance. We will endeavour to see urgent problems on the same day, but it may not be with the GP of your choice. Using your personal log in details, please select an appointment with the GP of your choice. Please telephone 01604 709922 for an appointment, you will be asked a brief problem and signposted to the right care. If you are unable to keep an appointment, you can cancel online via SystmOnline, via the Receptionist or via MJog if you have signed up for our text messaging service, this appointment can be offered to someone else. You may be able to seek telephone advice from a GP rather than booking an appointment. Please speak to Reception, who may ask you brief details. They cannot interrupt a GP whilst in consultation and unfortunately we cannot give you a set time of when your telephone call will be returned, it will be anytime during the surgery's opening hours. What to see your Practice Nurse for? For diabetes (30 minute appointment), asthma (20 minute appointment) & COPD (30 minute appointment) medication reviews, please book an appointment to see our Practice Nurse Claire. For diabetes (30 minute appointment), travel inoculations (complete travel form), cervical smears (15 minute appointment), swabs and the like, please book an appointment to see our Practice Nurse Gemma. For blood tests, NHS Health Checks (if eligible, 20 minute appointment), blood pressure, smoking cessation and dressings, please book an appointment to see our Health Care Assistant Julie. All bloods tests are carried out in the mornings only, as the samples are collected by the hospital around 13.00 hrs. Please also see Clinics & Services. Using your personal log in details, please select an appointment with the Practice Nurses or Health Care Assistance as above, ensuring you select the appropriate time slot (length). Please telephone 01604 709922 for an appointment to see our Practice Nurse or Health Care Assistant. If you are unable to keep an appointment, you can cancel online via SystmOnline, via the Receptionist or via MJog if you have signed up to our text messaging service, this appointment can then be offered to someone else. If possible please telephone the practice before 10.00 hrs if you require a home visit. 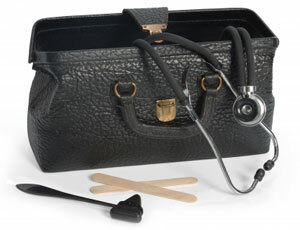 A GP (or Nurse) may telephone to discuss the best appropriate course of action. Home visits are only available for patients who are housebound, because of illness or disability. Please remember, that several patients can be seen in the practice in the time that it takes to make one home visit. There are also better facilities for examining and treating patients at the practice. The NHS Health Check is your chance to get your free mid-life MOT. For adults in England aged 40-74 years without a pre-existing condition, the NHS Health Check looks at your circulatory and vascular health and what your risk of getting a disabling vascular disease is. 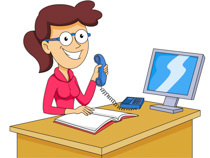 If booking an appointment on Systmonline, please add brief details of why you have booked an appointment. This allows the clinician to co-ordinate your appointment ensuring efficient usage of time and resources. If you are coming because you are following up a previous appointment, or as a consequence of test results, then please add this into the free text information box. This should prevent duplication requests by Reception, for example just add the words test results, no further information than this is required. Practices in South Northamptonshire are working together to provide services that give patients better access to Primary Care. You can now book an appointment to see a GP or Nurse in the evening or at the weekend at one of our Extended Access Hubs, located in Weedon, Brackley or Towcester. Please speak to Reception to find out more. Appointments will be available up until 8pm Monday to Friday and during Bank Holidays too and are bookable through Reception. To enable these services to work safely and effectively, clinicians seeing patients need to be able to access the patient health record. This will only happen when you seek clinical care and the clinicians you see at the hub have the same levels of security and confidentiality as we do at Wootton Medical Centre. Being able to access your health record means that clinical staff have important information about any relevant medical conditions and prescribed medication that could affect your treatment. Your health record will be updated after your clinical care, just as it would be if you visited your own GP.